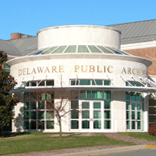 On Saturday, September 2, 10:30 a.m. historian Kim Burdick will present a program at the Delaware Public Archives about Delaware during the American Revolution. How did Delawareans react in 1777 when an invading British army of 17,000 soldiers landed near Delaware at the Head of the Elk River to march to Philadelphia? What strategic maneuvers did the American army carry out as the British forces moved through Delaware on their way to Pennsylvania? This program will answer these questions and examine this period of Delaware history through the letters and writings of colonial Delawareans who lived through the ordeal and recorded the arrival of the British army and the social upheaval it brought to the colony. One of Delaware’s best-known historians, Kim Burdick is Past Chairman of the Delaware Humanities Council and Delaware Advisor Emerita of the National Trust for Historic Preservation. Her book, “Revolutionary Delaware,” released by History Press in November 2016, is already in its second printing. In 2011, Ms. Burdick was one of 24 Community College Instructors nationwide selected as a National Endowment for the Humanities Scholar. In 2016, she was honored by the State of Delaware for her work on the 50th Anniversary of the Nation’s Historic Preservation laws. Ms. Burdick holds an MA in American Folk Culture and Museum Studies from Cooperstown; an MPA from the University of Delaware, and a Diplôme approfondi de langue française (DALF) in French language and literature.